Sometimes setting up a merchant account isn’t as easy if you fall into a high risk merchant account category due to the type of business you run or due to credit issues. However, this doesn’t mean that you can’t get a merchant account. In fact, we are able to help many high risk merchant account businesses and get them approved. Call us at 1-866-734-8450 to find out more, or continue reading. High risk merchant accounts refer to any merchant account that in the eyes of the processing company represents a higher risk that the payment will actually be made. Businesses may be considered high risk merchant accounts for many reasons. These include the type of industry, the way the payment is processed, or sometimes the credit score rating of the business or business owner. Specifically some examples of high risk merchant accounts could be mail order business, telephone order business, adult websites, direct marketing websites or businesses, infomercials, dating sites, online dating sites, out-call services, travel companies, telecom businesses, timeshares, herbal supplements companies, subscription services, membership services, membership clubs, tickets, MLM, multi-level marketing, bail bonds, pawn shops, water filtration, high volume merchant accounts, international merchant accounts, and companies facing high charge-backs. All of these types of businesses have a higher occurrence of non-payment which makes them high risk accounts. With that said, as long as the business is legal, many times we can help set up high risk merchant accounts. Call us to find out. The benefits of a merchant account, or a high risk merchant account, are many. Credit cards and debit cards are quickly replacing cash and the internet is a growing form of business everyday. In order to benefit form these two markets, it is absolutely vital that you can accept credit card purchases. In fact for many businesses it is the critical difference between success and failure. Opening up a high risk merchant account will not only help you accept these forms of payment, it will also help protect you from some of the risk involved in your industry. High risk merchant accounts are set up on the front end to deal with the risks. We understand the risks associated with many types of high risk merchant accounts and can personalize a solution that works for you. Is a High Risk Merchant Account Right For Your Business? At this point you may be wondering if a high risk merchant account is right for your business. There is no need to figure this out on your own. Call us and tell us about your business and we will let you know. There is no obligation to sign up and we encourage you to shop around since we are confident we offer the best prices and since we will match any competitor price. For most people, to understand if you are a high risk merchant account, ask yourself the following questions. If you answer yes to multiple questions, likely you need a high risk merchant account. Does your business/industry experience a higher-than-typical rate of chargebacks? Are you in a very high volume industry? Are the majority of your orders taken online, over the phone, or by mail/fax? Are you a new merchant with a short or bad credit history? Does your business have a bad credit score or credit history? 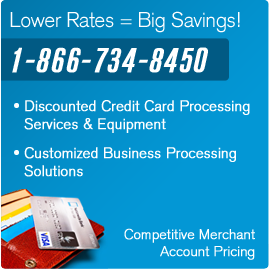 Still have questions about high risk merchant accounts and high risk virtual merchant accounts? Call us at 1-866-734-8450.